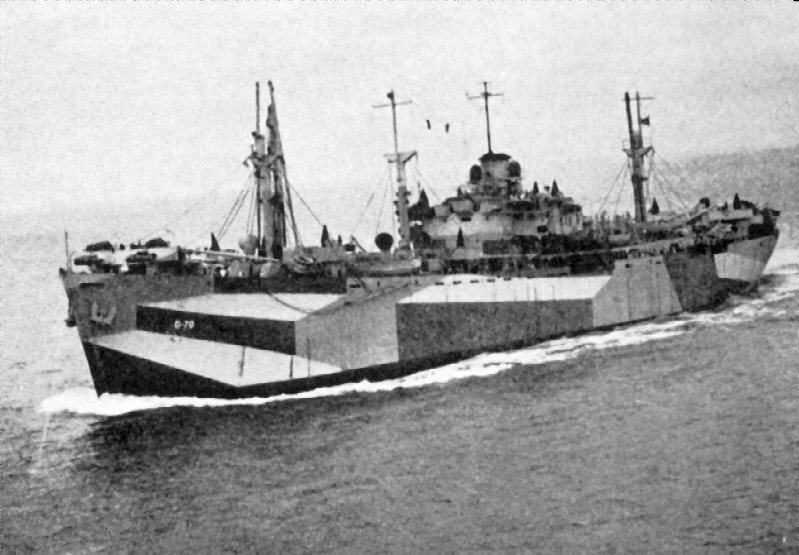 Laid down, 29 October 1943, as SS Anthony F. Lucas, a Maritime Commission type (Z-EC2-S-C1) hull under Maritime Commission contract (MCE hull 2422) at Todd-Houston Shipbuilding Corp., Houston, TX. 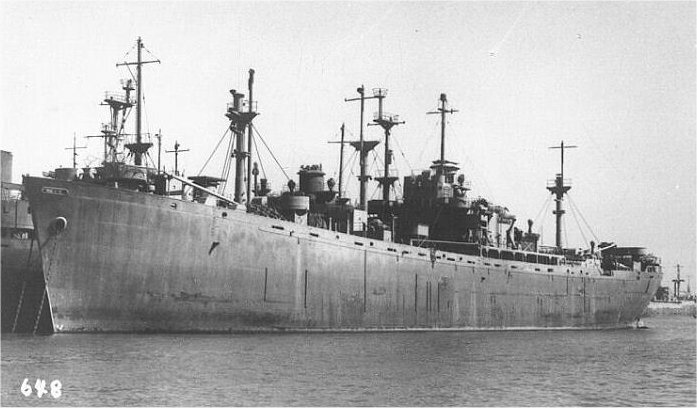 Commissioned USS Zaniah (AK-120), 22 December 1943, and ferried to Alabama Drydock and Shipbuilding Company, Mobile, AL. Decommissioned, 29 April 1946, at Pearl Harbor, TH. Turned over to the Maritime Commission, 23 May 1947 for lay up in the National Defense Reserve Fleet, Suisun Bay, Benecia, CA. Final Disposition, sold for scrapping, 10 July 1972, to Zidell Explorations Inc., delivered, 8 September 1972, broken up at Seattle-Tacoma, WA. 19-N-244943 95k USS Zaniah (AG-70) underway near Pensacola, FL., 9 September 1944, after completing conversion for naval service at Mobile, AL. 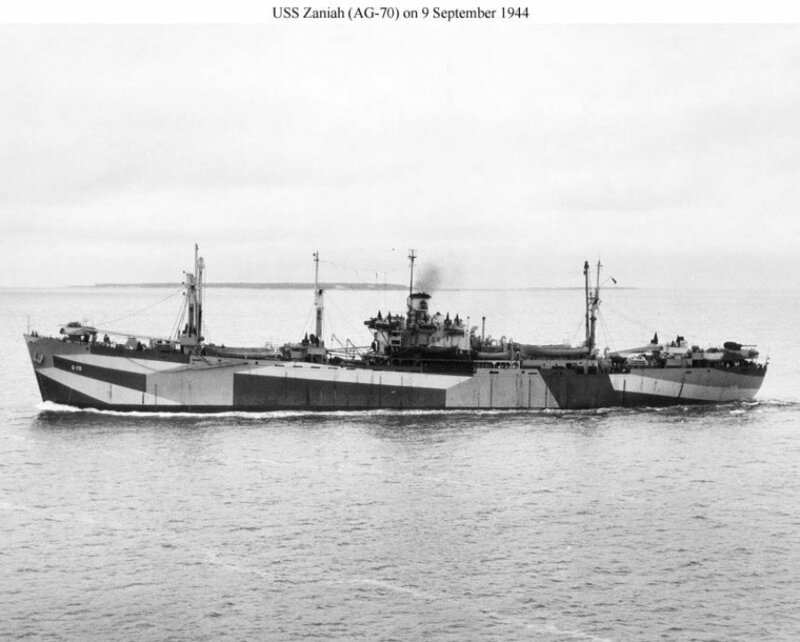 143k USS Zaniah (AG-70) divers. 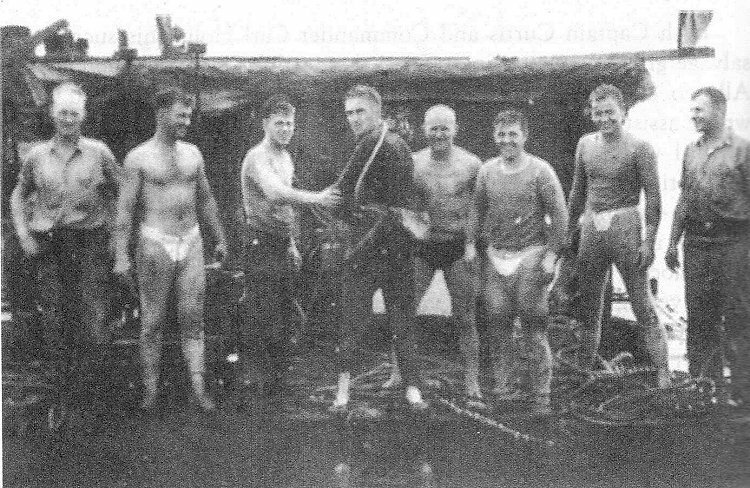 This photo exemplifies the men who worked at salvage and emergency repair during the Okinawa campaign. Photo courtesy Captain James W. Greely.